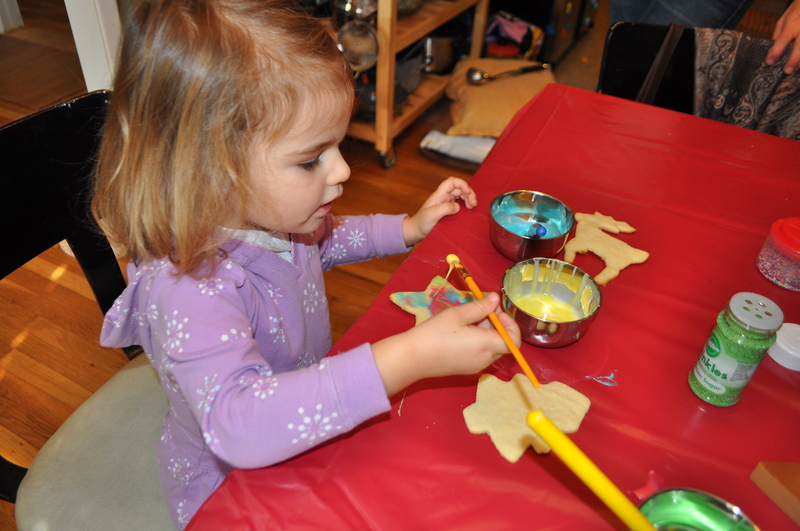 We had a busy, fun weekend full of visiting with friends and decorating Christmas cookies! 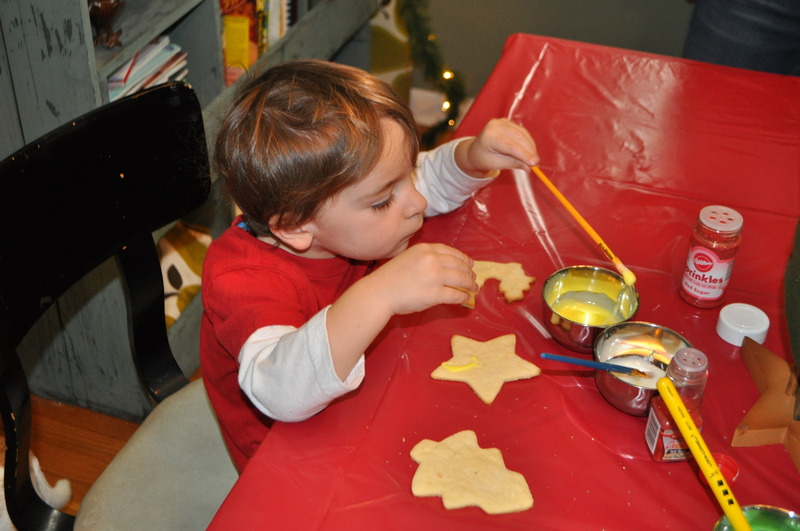 Cookie decorating takes lots of concentration. 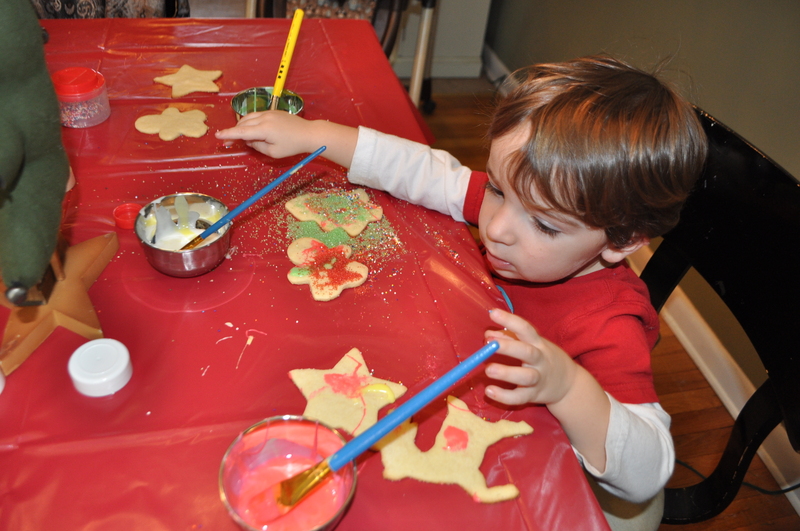 As with actual paint, he would “paint” the cookie, then touch it. Please note the amount of green sugar on his tree. Totally my child. Hope y’all have a good week! LOVE! This entry was posted in Bits, Family, Motherhood, Tom. Bookmark the permalink. 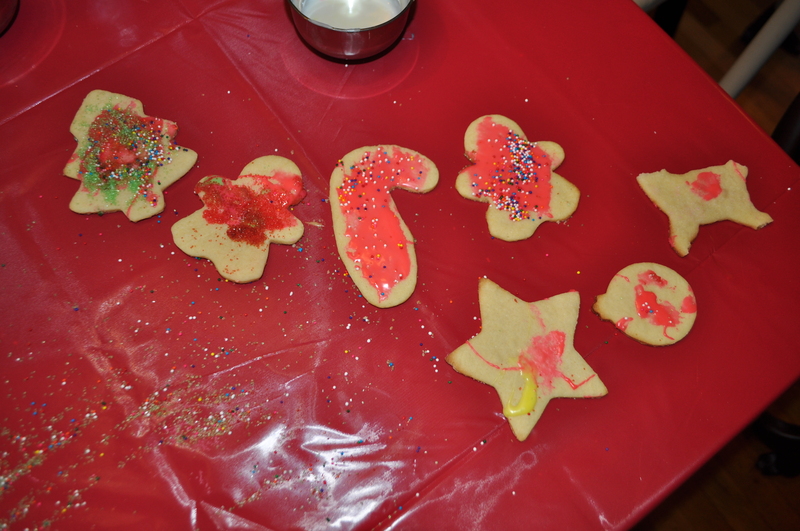 3 Responses to Bits: Cookie Decorating Edition. 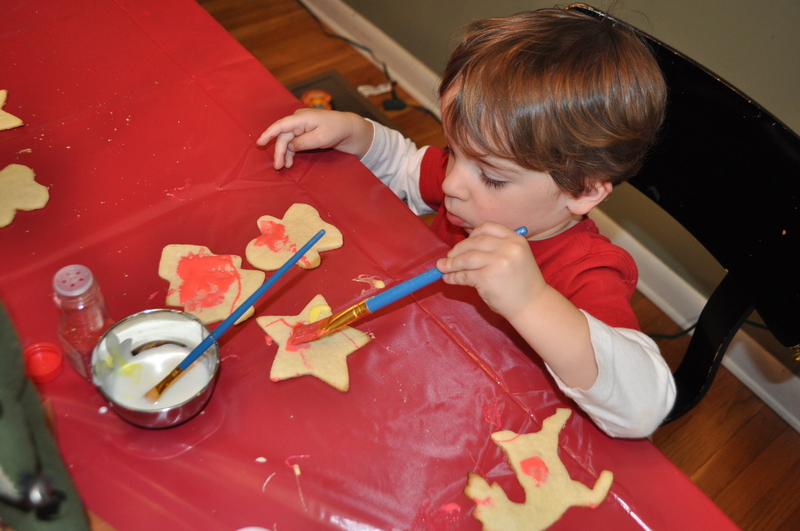 Love the cookie decorating activities. What sweet memories! 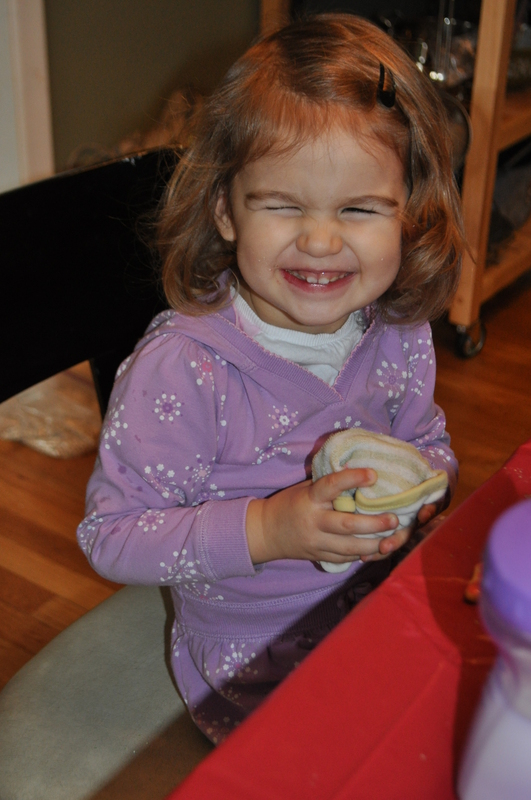 Looks like he had a great time…wonderful looking cookies!